Is this an exclusive, branded leather-look clutch bag? No, it’s a carton. This is a stunning example of the endless possibilities of creative carton design. The stunning “clutch handbag” made from carton board for the liquorice manufacturer Kouvolan Lakritsi. This Finnish company wanted to create maximum impact when it entered new retail channels. They called upon the expertise of Metsä Board’s, a leading producer of fresh fibre carton and paperboard. 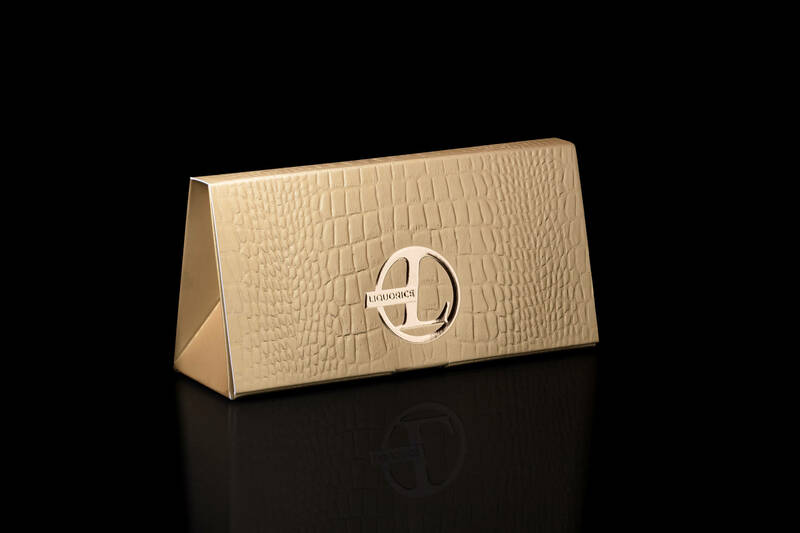 The result was the ‘golden’ carton designed to look and feel like an exclusive branded leather-like clutch-bag. The carton was designed by Ilkka Harju, Metsä Board’s Packaging Services Director EMEA. As a company, Kouvolan Lakritsi pays special attention to the environment (their factory uses only biogas). In addition, “the raw materials for the liquorice are pure and natural, just like Metsä Board’s packaging board,” explained the owner of Kouvolan Lakritsi, Timo Nisula. The carton board used was a MetsäBoard Prime 350 g/m2 folding boxboard. Its high surface smoothness is perfect for special lamination techniques and high-quality multilayer embossing. The eye-catching package was printed by Cadpack in Finland.